Creative IT, based in Central London, specializes in comprehensive recovery of critical data from crashed hard drives of the Sony PCG series laptop models. Creative IT performs expert hard drive data recovery services for business and individuals. We have specialized equipment and state-of-the-art clean room facilities to meet your London Sony PCG series data recovery requirements and go beyond your expectations. Choose Creative IT and take advantage of our comprehensive hard drive data recovery techniques to achieve exceptional results. As part of our London Sony PCG series data recovery services, we can successfully recover data from Sony PCG-505, PCG-700, PCG-C1, PCG-F, PCG-FR, PCG-FX, PCG-GR, PCG-GRS, PCG-GRT, PCG-GRV, PCG-GRX, PCG-GRZ, PCG-K, PCG-N505, PCG-NV, PCG-QR, PCG-R600, PCG-SR, PCG-SRX, PCG-TR, PCG-V505, PCG-VX, PCG-X, PCG-Z1 and PCG-Z600 series. To speak with one of our experts, call our helpline number on 020 7237 6805. We can also be reached through info@creativeit.net. We are open on all days from Monday through Saturday between 09:00 and 18:00 hrs. 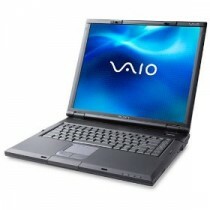 Creative IT assures to take care of all your Sony PCG series laptop repair and Sony PCG series laptop data recovery needs.